Were you one of those kids who always had at least one robot wrapped in fancy paper come Christmas time? I always thought my guy cousins really lucky because they got all the robots. If you have a similar sense of deprivation, this is your chance to make yourself ecstatic this Christmas. My Robot Nation is the answer to every kid’s dream of having his own custom-made robot, and when I say kid, I am not referring only to those who are minors. This web site is the coolest thing I saw today! 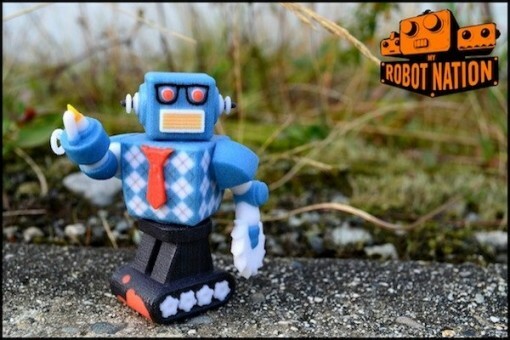 Owned by Kodama Studios, My Robot Nation is a web platform which allows users to design their own robots. Not in 2D, but in 3D! It doesn’t stop there, though. Once you have spent hours of love and excitement on your 3D robot, you can have it 3D-printed and delivered to your destination of choice! And do not make the mistake of thinking that the quality (colors, etc.) might not satisfy your standards, take a closer look at these 3D-printed robots. Pay attention to the details. 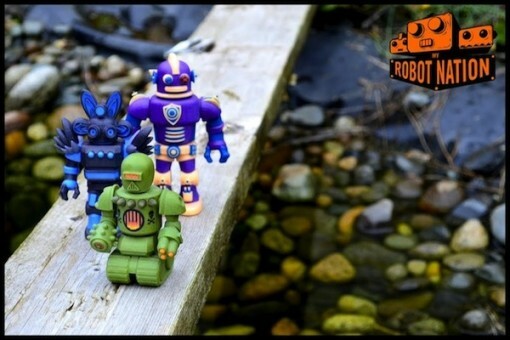 You might not even realize that each toy is a 3D-printed robot. The colors are bright, and I can perfectly imagine kids (of all ages) lovingly playing with these. Here is another 3D-printed robot that I particularly like. Making your 3D-printed robot is so easy as they guide you every step of the way. I think that it is actually a brilliant gift for a (real) kid and have him (or her) take part in the creation process. To create your own 3D-printed robot, you simply have to go to My Robot Nation.